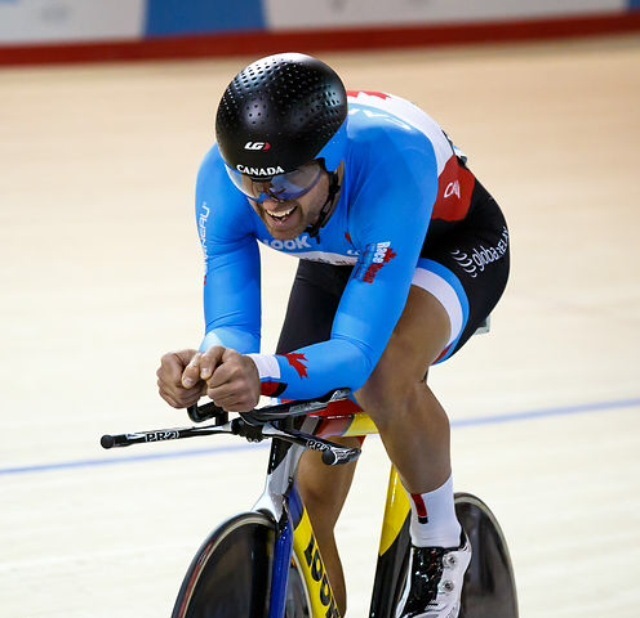 Last Friday, 38-year-old Canadian National Cycling Team member Ed Veal attempted to set a new world record—the ‘Best Hour Performance’ in the Masters Men’s 35-39 group, as well as the new outright Canadian Hour Record. 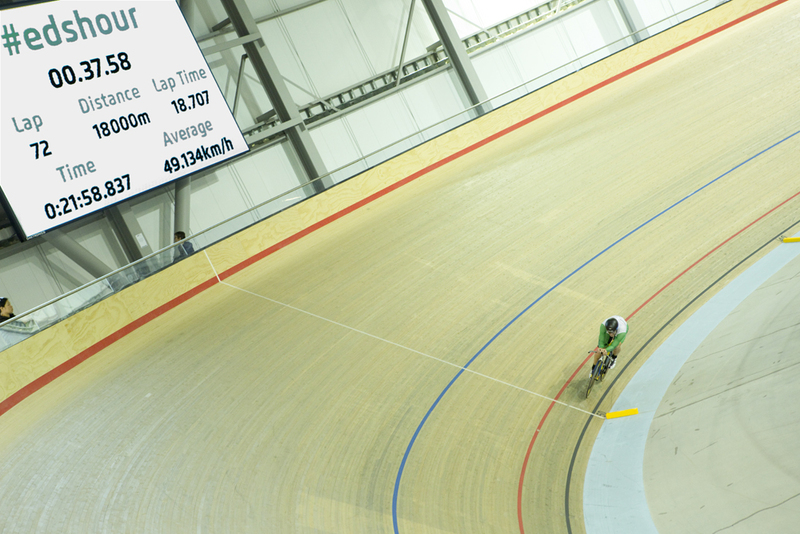 Veal made history, breaking the Canadian Hour record with a time of 47.590. You can watch an interview between him and Steve Fleck for Pedal Magazine here. The fundraising efforts of AHAALiving.com co-founder Howard Chang and his company, Top Drawer Creative, as well as several other companies and cycling enthusiasts, helped support this historic event. With the fundraising support, Veal was able to focus his energy on training for the event, as well as support his goal to become a full-time athlete for the first time in his life. Veal’s victory was not only an effort of amazing athletic performance, it also serves as a catalyst for propelling interest in the sport. New, young riders now have something to strive towards. “It’s about drawing attention to the facility [the Mattamy National Cycling Centre] and inspiring new generations to get on their bikes and ride,” says Chang. Post event, Veal said the effort was the “hardest thing I’ve ever done in my life.” The decision to attempt the feat came after a year of personal and team victories for Veal, who broke two Canadian records (4,000-metre Team Pursuit and Individual Pursuit) in September 2014. Veal took up cycling late, at age 26, starting with mountain biking and then making the switch to road. “The late start has never held me back,” he said. You can congratulate and continue to follow Ed Veal on Twitter or via the hashtag #edshour as he presses on with his journey to participate in the Pan Am Games and 2016 Rio Olympics, and support his continued fundraising efforts through his Indiegogo campaign. For more insight into Ed’s attempt, check out this article from Canadian Cycling Magazine. Stay connected with the AHAALiving.com community on our Facebook and Twitter pages.